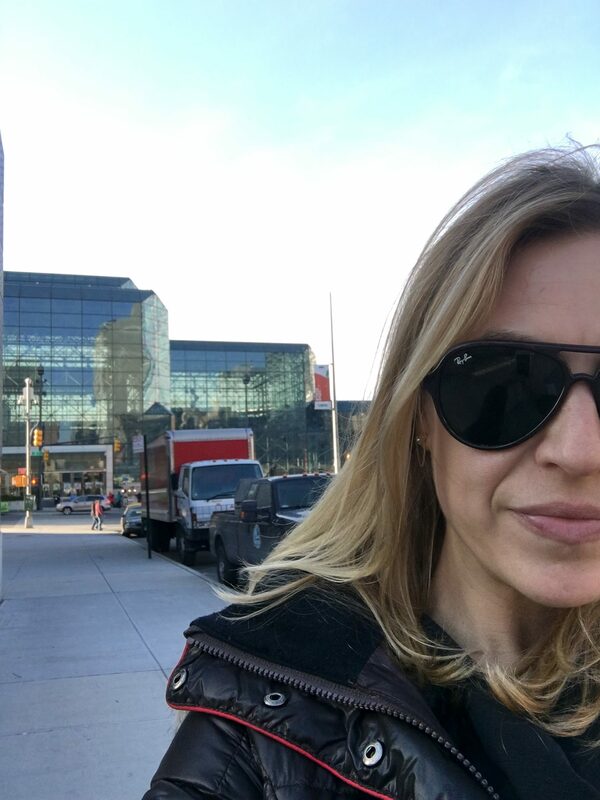 One of the fun parts of curating a design boutique is shopping to fill it with treasures from near and far, and one of the places we turn for additions to our collection is NY NOW at the Javits Center. 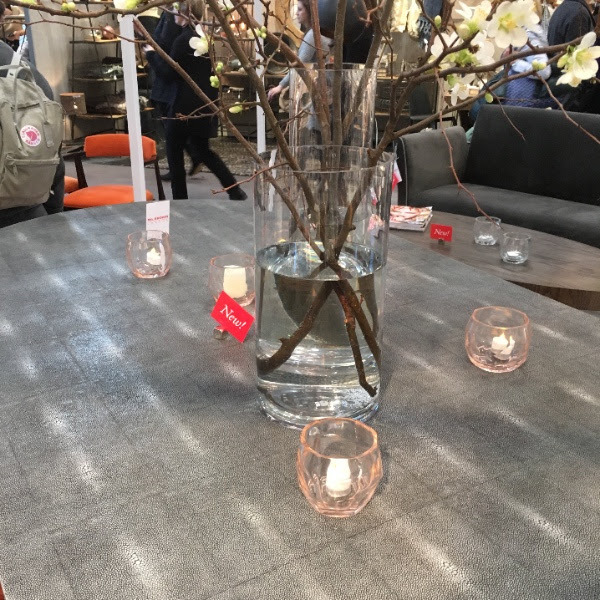 Designer Courtney Saulnier took a trip to the city, and found some exciting new lines to stock in our showrooms. 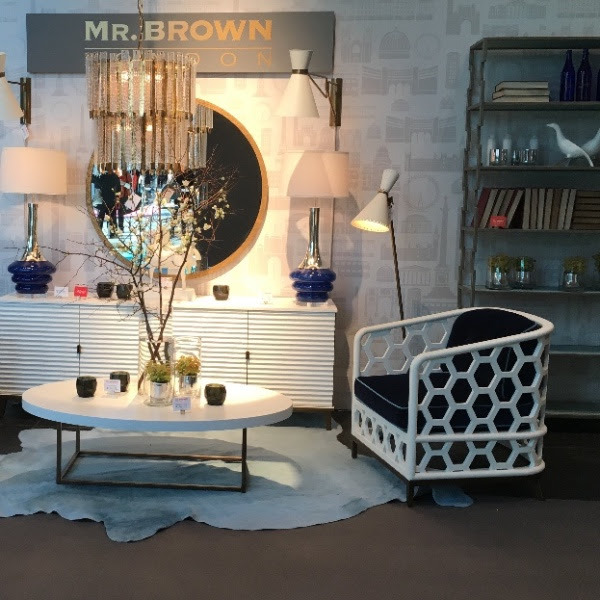 One highlight is Mr. Brown, a custom furniture, lighting, and furnishings company based in London. 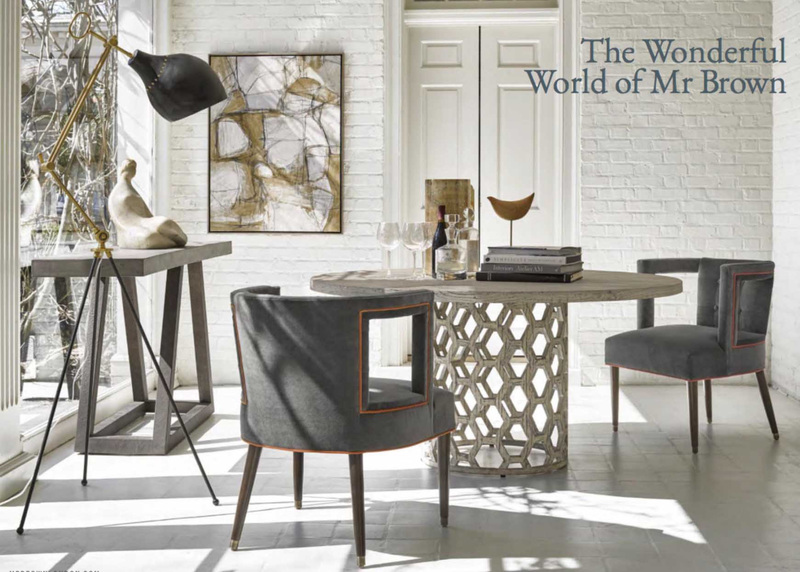 This quote from their catalog sums up their design philosophy: “Putting people at ease takes more than a comfy chair or sparkling conversation. There has to be the right ambiance, the setting is just as important as the scene. In sensing the confidence of a room they live up to it, so lets turn up the style and see what happens.” A few of our new Mr. Brown pieces have already arrived in our Lakeville Showroom and the incredible textures of their finishes is even better in person! 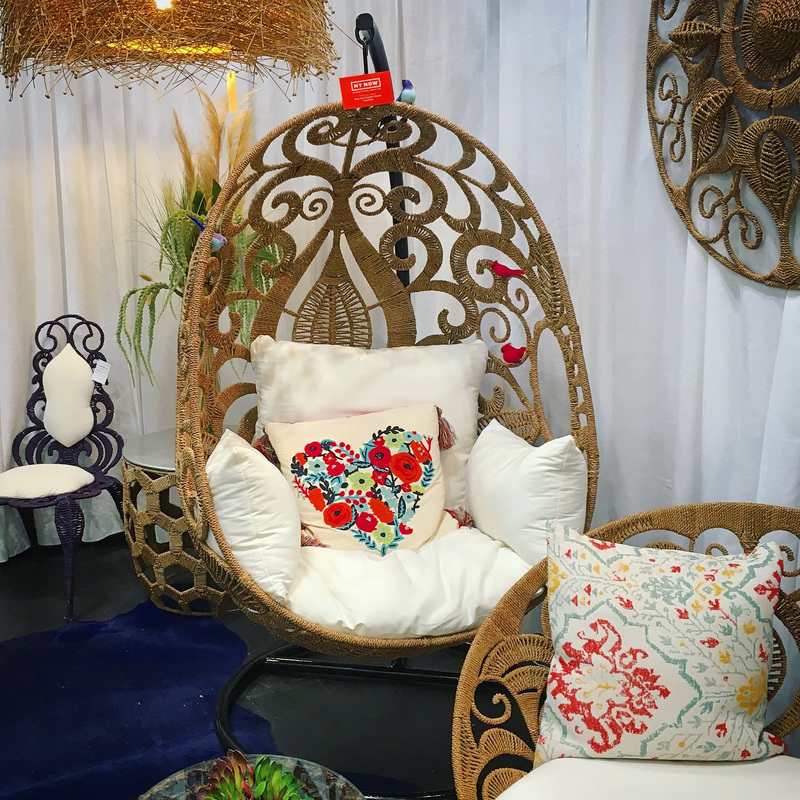 I sat down with Courtney after the show to hear about her professional take on the overwhelming task of seeing and shopping so much new design. Turns out she has an eye for trendspotting, and shared her take on the new looks cropping up for spring. It was not a surprise to see pastels all over the place after so much about this upcoming seasonal shift hyped for months in design publications. Courtney likes to use pastels as a unifying tonal element to define a space. An example of this approach is seen in the display of reproductions of Emma Lawrenson’s playful silkscreen prints in the Trowbridge Gallery booth. Lawrenson’s use of organic forms in sparse but elegant compositions really make her muted color palette stand out. 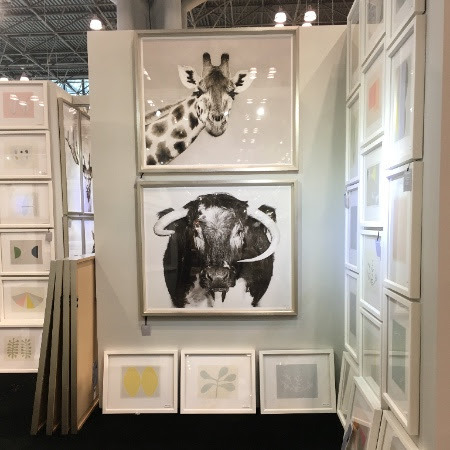 In Courtney’s photo of the display below, you can see a sea of her pastel prints juxtaposed with large, dramatic black and white animal photographs. This is how we like to use pastels in a room – as a respite in contrast with other bold elements. 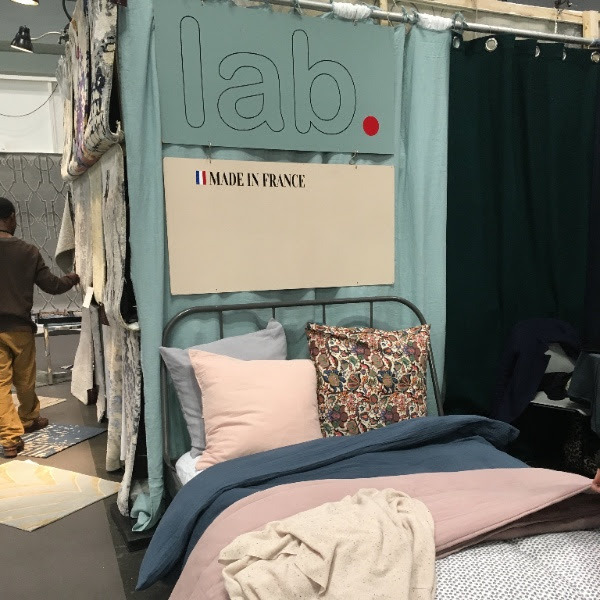 In the Lab.France display above, you can see how their stylist used an overall pastel and indigo theme for the bed, and threw in a contrasting paisley sham to shake things up a bit. You can see more of Lawrenson’s work at http://www.emmalawrenson.com. And learn more about Lab.France textiles and process at http://www.lab-boutique.com. These #throwpillows from @houseofcindyla are all #made from #vintage #fabrics, including antique #japanese #naturalindigo textiles. And we are still #digging #everything #indigo. Is the indigo trend here to stay? We live-sta-grammed Courtney’s trip to NY NOW on Instagram, and in the process realized she was seeing and selecting a lot of items that use pattern in new ways. Is Courtney just a huge fan of patterns on everything, or is it also #trending? An example of a traditional motif, the barbed quatrefoil, in shimmery transitional rug. Courtney our #trendspotting #designer is seeing a lot of #traditional #textile #patterns and #motifs in unexpected places. These #floral #pattern swings are coming to #lakevillect this spring! 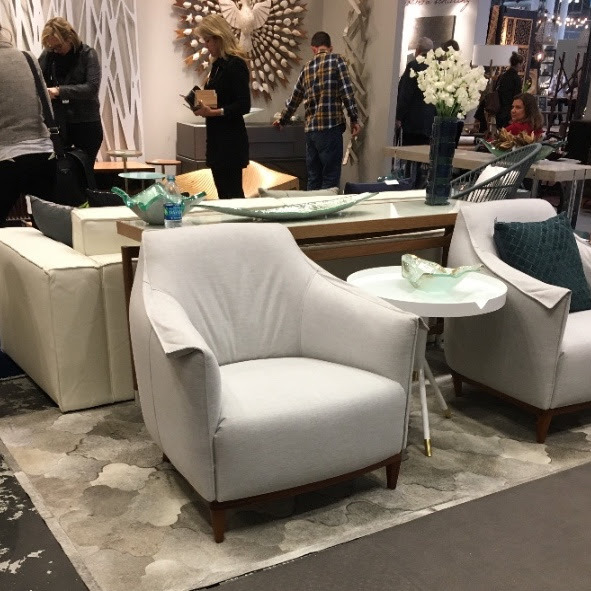 Not only did @courtneysaulnier love #everything about the #fabulous @mrbrownhome display, but these chairs in their #traditional #geometric #pattern are a great example of our #favorite #newtrend: #textilepatterns on everything! 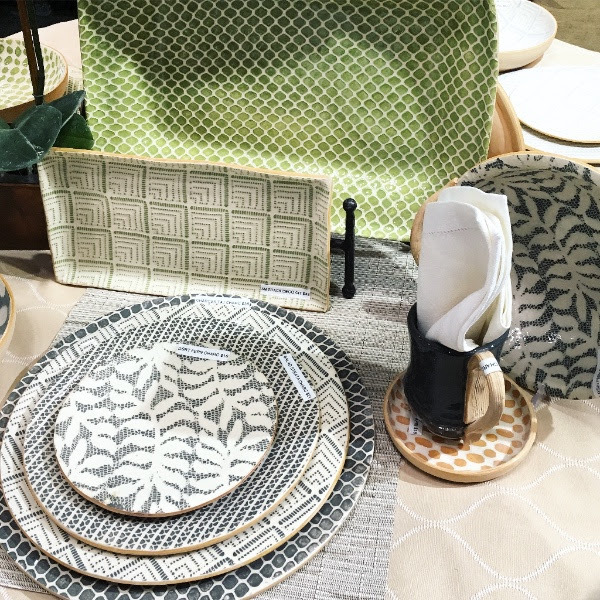 At #NYNOW discovering beautiful #pottery such as these intricately #detailed #dishes from @terrafirmaceramics. We hope you enjoyed our little round up of what is new and hot in NYC this month. 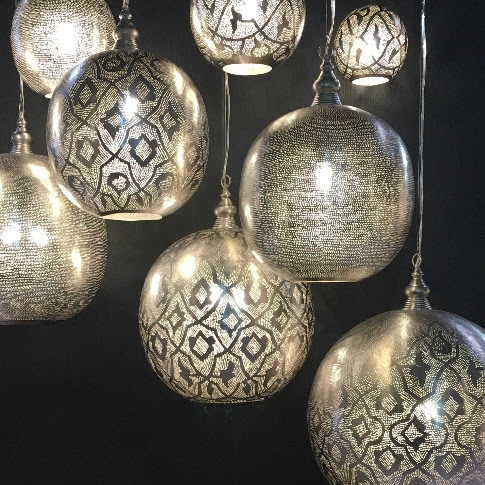 If you would like to see some of these items and many more in person, make your way on over to our design showrooms on Holley Street in Lakeville. Next post: You’re A Cut Above; We Are Sew Into You!